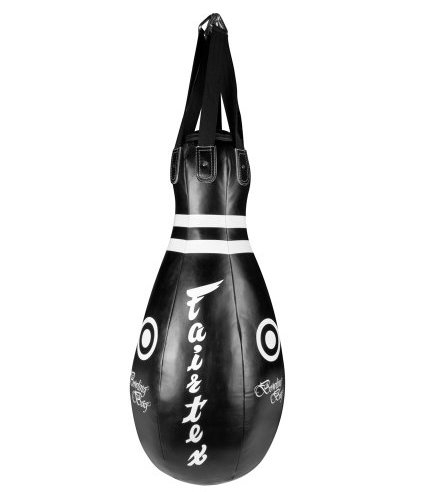 The “bowling bag” is ideally shaped to allow you to work your knee strikes. 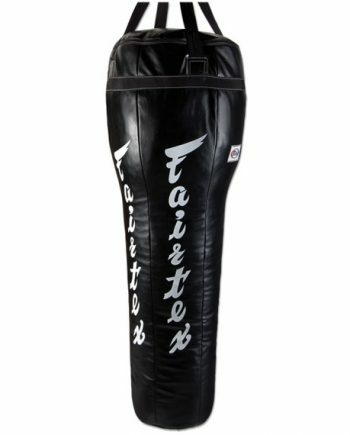 It's also great for working on your front kicks. 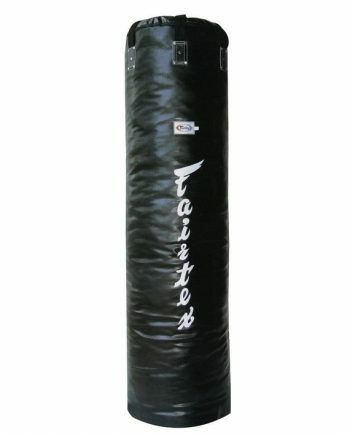 Hooks to the body, neck kicks.. it works great for those strikes as well. Shipped unfilled to save on transport costs. 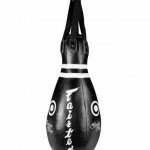 Termed the “bowling bag”, clearly in reference to the bowling pin shape, the main advantage to this training device is that it allows you to effectively work your knee strikes; more so than using traditionally shaped bags. 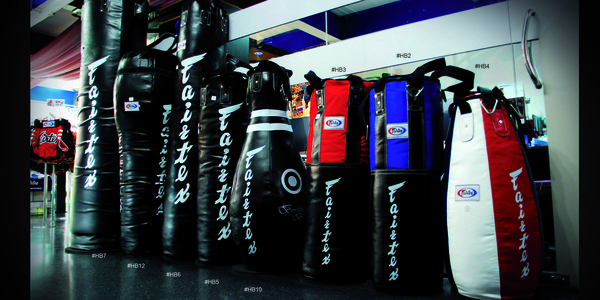 The unique shape is also ideal for working your teep (front) kicks, roundhouse kicks and hooks to the body. It’s quite a versitile piece of equipment! 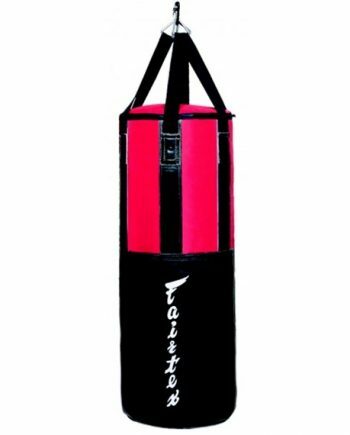 With correct positioning, you can even use it to practice your neck kicks. 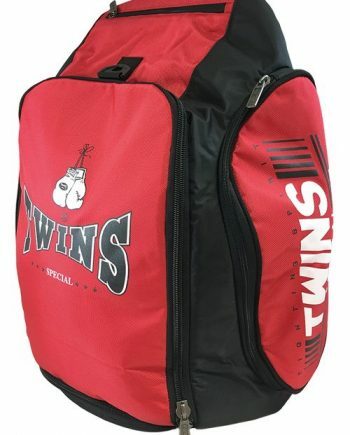 Constructed using Syntec leather and heavy duty, water resistant, non-tear nylon lining, these bags are equipped to take a beating. Quality is emphasized during the construction so durability is a non-issue. The bag is sold unfilled, as to save on shipping costs. Filling it can be easily done when it arrives using inexpensive, scrap clothing or rags (just pack them in tight). Weighs approximately 42kg when filled. Size reference below..